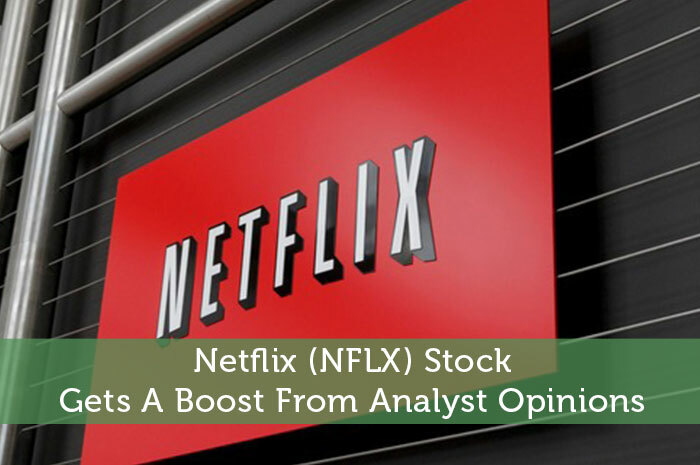 Although market conditions in the United States remain quite volatile, Netflix had a great day in the market on Tuesday after releasing positive news and being the subject of positive analyst opinions. Today, we’ll talk about what caused NFLX to climb on Tuesday, whether or not the analysts hit the nail on the head with their opinions and what we can expect to see from the stock moving forward. One thing that’s sure to impress investors and move the value of a stock in the upward direction is solid earnings, and according to MarketWatch, that’s exactly what we can expect to see from NFLX next year. In fact, the news firm recently reported that analysts are expecting to see a massive boost in earnings per share next year. According to the report, analysts are expecting earnings per share to rise by about 50% next year. When we look into the reason for the improving expectations, it’s easy to believe that NFLX profits are going to rise. Overall, analysts are paying close attention to the consumer discretionary sector, which is heavily dependent on economic conditions. As jobs numbers in the United States continue to improve and economic conditions remain positive, the consumer discretionary sector will remain relatively robust. As a result, consumers in the United States are more likely to subscribe to NFLX services, leading to increasing revenue and earnings. Are Analysts Correct In Their Expectations? If you follow my writing here or elsewhere, you know that I never advise anyone to take the word of analysts to be fact. Ultimately, they’re making predictions just like anyone else, and in my opinion, I think that they may be wrong in this case. The reality is that the only positive economic data we’re seeing in the US is jobs growth, which is likely to fall moving forward. Also, analysts have been mentioning low unemployment rates. While these rates are low, so too is the work force participation rate, meaning that more and more people are depending on government entitlements. Not to mention, the Federal Reserve is likely to raise its interest rate in December. This will take even more money out of the pockets of consumers as they are forced to pay more money in interest in the future. All in all, I do expect NFLX to grow profits, but I’m not expecting earnings to grow by anywhere near 50% in 2016. Moving forward, I’ve got a relatively positive short term outlook for NFLX. With positive data out of Australia and positive analyst opinions, the stock is likely to rise in value. However, in the long term, I’m expecting gains to slow as early earnings reports in 2016 aren’t likely to be as positive as analysts are leading investors to believe. Where do you think NFLX is headed and why? Let us know your opinion in the comments below! This is tough one. Netflix stock has seen some major ups and downs in the past few years. The Cable TV market is saturated and plateaued. I see more people cutting the cord to save money. The alternative is Netflix. Moreover, Netflix is producing their own content and their content has been very good thus far. If the Fed raises interest rates, there will be a dip for the short term. After that, I can see the stock continue to climb up. I agree, I don’t expect the 2016 earnings to increase by 50%. I expect to see 20+% earnings increase in 2016. I would wait for the stock to dip in Dec if / when Fed raises interest rates or in Jan 2016 when stock market typically goes through a correction to buy a few shares of Netflix. I’m right there with you. Short-term, heck yeah – it will be very easy for people to become bullish on Netflix. If anything, you can profit from the “greater fool” theory. Long-term…. nope! However, I would love to see a fund consisting of Netflix-like stocks. Meaning, I would love to invest in the paid video-streaming market for the long-term. Just not Netflix alone.